Search engine optimization may not seem like a matter of website health, but through my years as an optimizer, I can assure you that it is. Some websites seem clearly healthy, and others, clearly sick. The goal of optimizing the elements on your website is the fullest and clearest communication of what your site is about, and in turn what kinds of keywords search engines like Google should be ranking you for. What follows are the main things to address in keeping your site healthy from an SEO standpoint. Have a look at a page on your site. Are you completely and effectively communicating what the page is about and should rank for? Knowing all the keywords you should be targeting involves keyword research using a variety of potential tools, so having a fully optimized site needs this step. As far as SEO health is concerned, though, it’s a matter of making sure your content reflects whatever you have determined as your targets for each page. Of course, search engines look at the text on the page. Does your text contain all the terms for which you would hope and expect that page to rank? If you expect to rank for a term on a page, it had better appear on that page at least once. Note, this does not mean that the more it appears, the better. Search engines want your text to read naturally, so stick to max once per paragraph, or really a few times per page. It wouldn’t be a bad idea to have your top keyword appear in a heading on the page. The bigger font signals greater importance, and is something search engines are likely to take into account. Title tags, for many years now, have been an extremely important indicator of what a page is about for search engines. Title tags are a “meta tag”, located in the head part of a web page’s code, appearing nowhere on the page itself but often readable in your browser’s tab or at the top of the browser window. Title tags become the blue clickable portion in search engine results pages, too, so you can see how it would make sense for it to be a keyword-rich, yet readable, click-worthy summary of the content. Google truncates title tags after 65 or so characters, and doesn’t value much of what comes after that anyway, so when you write them, try to stay within these limits. It’s obvious but worth stating: not only should every page have its own unique title tags, but first you need to ensure that your website’s admin area actually let’s you customize them! Most modern content management systems (CMSs) do, but in my time I have seen many that don’t (and I got them replaced. Remember, the goal is effective, healthy, unobstructed communication with search engines. They are looking to know which pages to rank for which terms. You may have successfully communicated keyword content, but what happens when you have multiple URLs with the same content? How is Google supposed to know which to rank? Search engines want one authoritative (or “canonical”) page for each piece of content, otherwise the confusion created by multiple URLs can result in none of them ranking. This will list all the URLs Google has indexed for your site. Sometimes duplicates will be immediately apparent. Go to the last page of results. If you are told that many pages are in the “supplementary index”, this could be a sign of duplicate content, of Google doing its best to sort out the canonicals from the useless duplicates for you. You need to identify what’s causing these extra pages. You may not be able to fix it yourself, and you might benefit from the help of a professional search engine optimizer, but being able to identify the problem is a good start. Duplicate content problems were when search engines found multiple versions of the same page. What about if Google has trouble navigating or reading your pages at all? A few things can get in the way. If your site is built using iframes, there’s a good chance search engines aren’t indexing it properly. If navigating around your site does not create different URLs in you address bar for each page, your site may be using iframes. Check the page’s source code (right-click and select “view source”) and see if you can see the word “frame”. A website made in Flash is likely to have this kind of problem, too. If in browsing around your site you see extremely long and complicated URLs, this can potentially get in the way of your site being crawled. You might need to get them rewritten, and potentially need a new CMS. 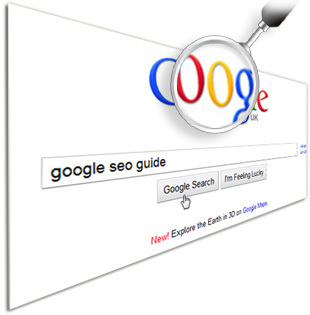 When you do a site:yoursite.com search, is approximately the right number of pages indexed? Too many can mean duplication issues, too few can mean crawlability issues. Brand new sites will always have a tough time ranking, but if you seem to be getting nowhere despite being online for a while and with a reasonably well-known site or brand, you may want to enlist the help of a professional SEO to have a look at your site. They are trained precisely to deal with these kinds of site aspects, and can help promote your site online and boost your search engine traffic. Get in touch if you are looking for recommendations of reputable SEO companies to work with.